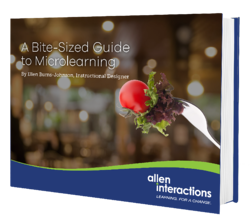 This ebook delivers insights into what makes successful microlearning gleaned from Ellen's experience working with varied companies and organizations. 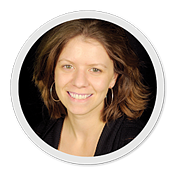 In this 1-hour webinar, Ellen shares best practices, tips and processes to apply performance-focused design principles to your microlearning events. Explore a variety of Allen Interaction's microlearning blog posts that include best practices, examples and tips for creating effective performance-focused microlearning!